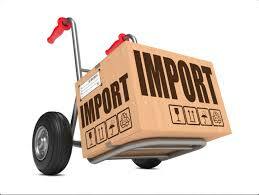 Good day all, today I would be giving a list of items which you can import from china with N100,000 or less. All that you need is just the information and you can start this business as well and make huge profit. Firstly, I would like to disclose few sites where you can source for these goods online without having to go to the country where you want to purchase these items. Aliexpress and dhgate are some of the sites you can do this. Most people sell to you expensive e-books of secret Chinese websites which is what I have just listed above, some of which even offer free shipping to your designated country (information is power). Yes, memory cards. Believe me people don’t realize how important this small chips are. Almost everyone has one of these, and the need for it is still very high. People who keep large data need to store them in one of these (photographers, graphic designers etc). Some people have made lots of money by selling this item on a large scale (chupez can verify my claim). Flash drive is that computer peripheral used to quickly transfer files from one computer to another. It is largely used in any office, even in higher institutions also. These flash drives can be gotten in different sizes at a very low price and then sold to maximize profit. Call them power banks or solar chargers; they however perform the same function which is providing power to our gadgets when needed. We are all aware of the light issues in the country and I’m so sure that there were times when you needed to make an important call but your phone battery was down and there was no light right? ( very painful ). Power banks take away this problem and they come in different size. These are weaves or wigs which females use to glam up. If you can be a supplier of this item to beauty shops around you, and you can get one for say N800, and you sell it for N1500,you would make almost double the amount used in buying it. This is also another product in the feminine line. A lot of products like eye pencils, eye liners, face powders, lip sticks, glitters can be gotten at a fair price online from china and sold here. The mobile market in Nigeria is currently overwhelming. Virtually almost everyone goes around with a phone. Considering our population (160 million) added with wear and tear, people must always change their phones as a result of different factors. There is no denying the huge benefits tapping into this sector can be. Naturally we Nigerians have a high definition taste for good things. Jewelries would be a good sector one can focus on and start importing some good quality items. They range from neck laces, wrist bands, rings, earrings, cuff links, sun glasses, belts, ties and a lot more. Computer parts like keyboards, mouse, scanners, printers (which are all peripherals to a computer). We also have office items like photocopiers. All these are very vital in any office. Even people set up cyber cafes and business centers would be needing services from dealers in any of these parts. Shoe is also another market with great potential. When delving into this market, you should do some research and identify your niche. Know which market you would like to carter to. If you going to be selling shoes for men, women, unisex, for kids etc. when sourcing for shoes, you are going to see a wide variety of shoes which may get you a little bit confused. So it is important to narrow down the type of shoes you would be importing. My finally item is the wristwatch, this is also a fashion accessory, can also be termed a necessity. I put this item separately due to its potential and huge profit margin. There are lots of watches in the market right now. From casual to sport watches, chronograph to digital watches, Wristwatches that perform additional functions and more. I have seen people import designer wristwatches and supply or sell here going home with decent profits. There you have it! my list of 10 items which can guarantee you profit. All you have to do is make that decision and start today. Thanks.